Do you have the slightest idea of how to choose the best virgin coconut oil for health benefits? I've tasted numerous brands of this unrefined coconut oil from various countries over the past 10+ years. Seriously, not all of them are created equal. Some do not even have the characteristics that can only be found in a good quality virgin coconut oil. Let me show you. At temperatures below 76 °F (24 °C), virgin coconut oil starts turning snowy or cloudy (it's not a sign of rancidity, take note). And at even lower temperature, it becomes as hard as rock and looks snowy white. When in absolute liquid form, it should look crystal clear like water. If the oil shows yellow or even brown tint (easier to notice this in liquid form), then either it has been contaminated with bacteria and molds or it actually is just a refined coconut oil in disguise. Beware. Though coconut oil can fight fungi and bacteria, it can't exhibit antimicrobial properties until its triglycerides are broken down into free fatty acids and monoglycerides. This breakdown can be done by the enzymes in our body when we consume the oil. The friendly lipophilic bacteria that are always present on our skin can perform the breakdown too, when we use coconut oil topically. That explains why coconut oil can become tainted with molds and bacteria and then turn rancid if they're handled and stored improperly. Also, if it's stored in amber container, you'll find it difficult to examine its color at the health store. This is where you have to try your luck. If that occurs, it's best to pick a smaller container, where available, for testing first. This way of choosing virgin coconut oil is not cost-effective. But at least you won't have to force yourself to finish up a big jar or bottle if you don't like it later. Agree? Have you seen the "Mother" of apple cider vinegar (ACV) before? That's the essence of ACV. Good quality virgin coconut oil should also contain "Mother". This "Mother" gives virgin coconut oil a relatively thicker coconut aroma and of course, greater health properties. However, this "Mother" can also cause unnecessary worry. Many people ask me why the virgin coconut oil they receive via online purchase looks murky and doesn't look clear at all from top to bottom. Well, there's bound to have some vigorous shaking here and there during packing, handling and delivery. And upon shaking, the "Mother" will scatter out and turn the oil murky, chalky, milky or whatever you call it. This often causes a misunderstanding that the unrefined coconut oil is bad in quality. Nope, actually. To prove my point, place the jar on a surface and let it stand for several hours. You should start to see some soft, spongy stuff settling to the bottom and the upper portion will look much clearer. Sometimes, it may take two or more days for the "Mother" to completely settle down, depending on how murky it looks. In other words, the longer it stands, the clearer it becomes. If you don't see the "Mother", it's probably due to the variation on different batches from the same brand or company. It could also be an intentional act by some companies to keep off the essence to make the oil look "clean and clear" at all times. This is to avoid being wrongly labeled as a brand that produces low quality virgin coconut oil by consumers. Now, you know that the sediment actually isn't a disadvantage of virgin coconut oil. So, remember to choose a virgin coconut oil that comes with its "Mother", if you can find one. 3. Container – plastic or glass? There have been heated debates over whether virgin coconut oil should be stored in plastic or glass container. If the brand you like very much stores the oil in plastic container, then you may have to evaluate whether it's worth for you to take the risk of having toxic chemicals leaching into the oil. I'm not inferring that plastic container will always leach chemicals into the oil. But personally, I still prefer glass container for peace of mind since virgin coconut oil is slightly acidic. I knew it from the scratchy sensation I got in my throat after drinking it off the spoon or during oil pulling. It's obvious. Oil does not react with common pH indicator. Unless we apply titration method or get some sort of super expensive instruments for testing oil pH, we'll never get to find out exactly how acidic the oil is. If I were to give a pH score to my virgin coconut oil, I would say it has roughly a pH 5. How did I arrive at that value? I simulated the scratchy sensation using apple cider vinegar (ACV). I poured some ACV out and tested with a strip of universal indicator paper. It showed a pH 4. I tasted this ACV (without any dilution) and it "bit" my throat even more than virgin coconut oil (please do not try this at home as your ACV could be more acidic and corrosive than mine). I then diluted this ACV with water until I found the similar scratchy sensation I got from drinking virgin coconut oil. The color of the universal indicator strip showed somewhere near pH 5. That means, there's a chance that the oil may corrode (albeit gradually) the inner lining of the container if it were plastic. Which is why sometimes I heard people complaining about their coconut oil having some plastic smell. One fella even discovered that his plastic spoon melts after prolonged (several months, I think) immersion in the dietary oil. He put the spoon inside for convenience sake. But the plastic containers the manufacturers use for storing virgin coconut oil are mostly BPA-free, isn't that safe? Says who? The primary purpose of including BPA is to make the container light, tough and shatter-resistant. If they want to keep the container as good but without using BPA, they definitely have to get a replacement for it. Here's the largest and most comprehensive test of plastic products conducted by researchers at the plastic-testing company CertiChem. They examined 455 products and discovered that nearly all the items, including those marketed as BPA-free, leached chemicals that mimicked estrogen. You see that? Other chemicals that replace BPA can mimic estrogen too. That too, calls for a health concern. I mean, these days it's getting difficult to avoid consuming food and beverages out of plastic. But if we can minimize our risk of getting cancer and reproductive problems, why not? 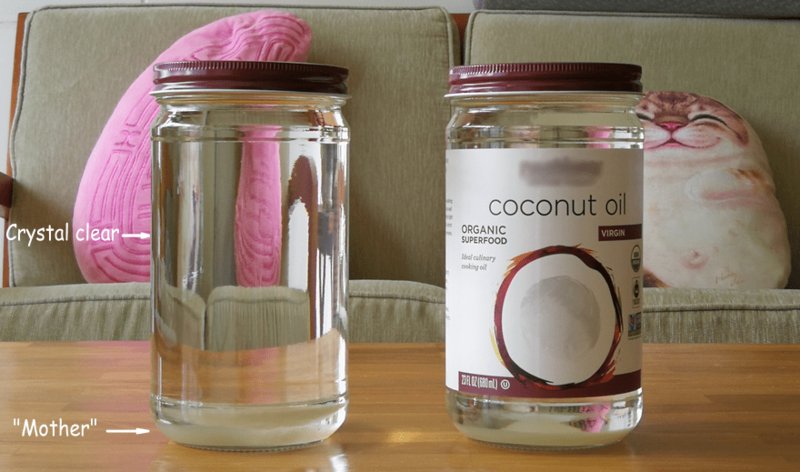 Unless you can't find any virgin coconut oil packaged in glass, but since there is, why choose plastic over glass? Just because someone argues that shipping glass containers requires more plastic padding and packing than shipping plastic containers and this is not environmental-friendly, so you should choose plastic- over glass-stored virgin coconut oil that may potentially jeopardize your health? It's difficult to justify whether the use of plastic padding for protecting the glass during shipping is more harmful to the environment or the non-stop production of plastic containers. In that case, focus on what's more beneficial to your health. You can easily either make good use of the plastic padding or take them to the recycling bin. I always do that which is a good way to help the environment. So, not an issue with choosing a virgin coconut oil that's stored in glass container. Another thing worth mentioning is, you might come across a few brands storing virgin coconut oil in amber glass jar or bottle to keep out light and heat. It's not necessary actually since coconut oil has so much good saturated fats that make it very stable under normal circumstances. So, go ahead and pick one that uses a clear glass container to hold it if that virgin coconut oil best meets your needs and suits your palate. Unless you get a chance to smell before you buy, you'll have to purchase virgin coconut oil one after another until you get the right odor for your nose. When you take a whiff it should give you a distinctive coconut aroma, which is an innate quality of the oil. However, if you don't like such a strong flavor, you can choose a virgin coconut oil brand that gives off a more delicate scent which will not overpower the flavor of your food. If you happen to get one that shows 'Virgin coconut oil' on its label but doesn't emit even a trace of coconut scent (I bought that before at some high price), it mostly is an impostor pretending to be a virgin. Also, beware of some virgin coconut oil that come with a smoky stench or burnt smell. The stench may somewhat be too subtle to notice. But if you're experienced enough, you would be able to tell straight that it's of very low quality. The smoky or burnt smell means that the oil has gone through the process of smoking. This usually happens to refined coconut oil only. Another thing to look out for is the unpleasant odor. It means virgin coconut oil has turned rancid (even though it still appears crystal clear). If it reeks like cheese or vomit or even gives off a pretty strong pungent smell, that shows the oil has turned sour – the indisputable sign of lower pH (more acidic). This could happen even within its 2-year shelf life. The reason for it turning even more acidic could lie with the oil being enclosed in a heated environment that is poorly-ventilated for extended period of time, like transporting in the scorching Summer. So hot that the surrounding temperature could have risen to the point where the triglycerides in the oil break down to release free fatty acids. More free fatty acids released means the oil has become more acidic, and hence, more corrosive. When you swallow virgin coconut oil or do oil-pulling with it, it'll "bite" the back of your throat a little bit (you felt that, right? ), that's because of its slightly acidic nature. But if it has become even more acidic, it can burn your throat. So, be sure to smell the oil before you consume. When you're choosing virgin coconut oil, it doesn't matter which country the brand comes from. What matters most is the country that makes the oil. Of the tropical countries that produce coconuts like Philippines, Indonesia, India, Brazil, Sri Lanka and Thailand, I realize that Philippines makes the best quality virgin coconut oil. I've tasted several good brands from Malaysia, Singapore, Hong Kong and United States, which give very nice fresh coconut fragrance. And their coconut oils are all made in Philippines. Honestly, I don't really know why virgin coconut oil made in Philippines gives off the best quality as far as I'm concerned. I think the quality of coconut in Philippines is better, probably. That's why they can produce good quality virgin coconut oil, apart from using extraction methods that involve low temperature. You might prefer virgin coconut oil produced in Thailand because it carries very mild or somewhat subtle coconut aroma. But if you love strong and thick aroma, pick one that shows 'Product of the Philippines' on its label. I found my virgin coconut oil via real customer reviews. It really lives up to its positive reviews. I love it because it has the "Mother", it has relatively stronger coconut flavor and it has kept me away from flu and other common illnesses for years! If you buy something without checking its reviews, high chance you might end up cursing and swearing. But when you check the reviews, don't just look at the 4 or 5 stars it receives, read particularly the 1- or 2-star reviews (the bad ones). And see if the bad reviews are critical enough to affect your decision to buy. Sometimes bad reviews are given due to poor handling and delivery, like the oil already spoiled on arrival, broken glass or oil leaking all over the box due to loosened lid etc. You'll also get to read about lousy customer service such as poor attitude, lack of response or the refusal to refund upon request of damaged product. Hexane is a popular chemical solvent (produced during the production of gasoline) that is commonly used in oil extraction. This is because it's super cheap and has a high oil extraction efficiency. However, it's exceptionally detrimental to the environment and extremely toxic to our health. Therefore, choose only virgin coconut oil that says "Free of Chemicals", "No Hexane" or "Hexane-Free", if you're serious about eating only the best virgin coconut oil for health benefits. This would mean that you'll have to fork out a little more cash. High heat and hydrogenation produce trans fats which are as toxic as hexane to our health. Logically speaking, virgin coconut oil should not be processed under high heat and hydrogenation. It's not virgin anymore if it does. But if you do come across one that never states "Non-hydrogenated" or "Zero Trans Fats", then it probably is a fake virgin coconut oil that carries trans fats. Don't buy. Better be safe than be sorry. 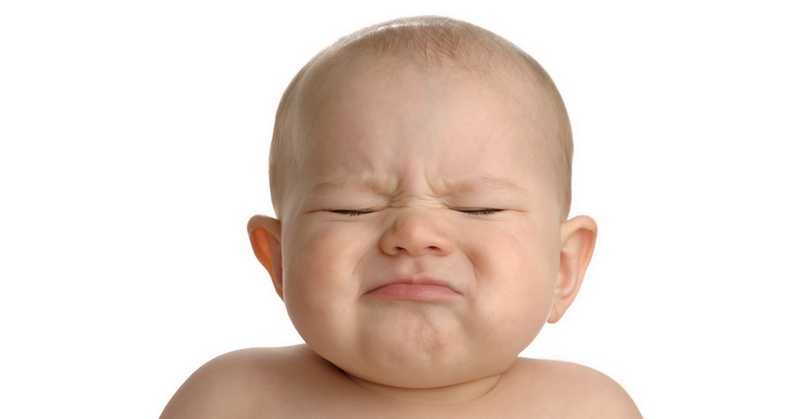 Did you know that coconut oil is good at relieving constipation? But if it contains trans fats, it might lose its effectiveness in stimulating bowel movement and make you even more constipated. Trans fats can nullify coconut oil's effect on weight loss too. When it has come to the point that you like two or more particular brands of virgin coconut oil, how much they cost will become the key of your choice. If you let the price decide for you in the very beginning rather than focusing on the quality, then you'll most likely wind up with a low quality oil that doesn't offer your health the greatest benefits. There's no one best method of extraction for making the best quality virgin coconut oil. You can use centrifugation or mechanical-pressing method to extract the oil at low temperatures so as to retain maximum nutrients for maximum health benefits. But if the coconut itself is of relatively low nutritional value, then the nutrients left in the unrefined coconut oil will surely be compromised. The quality of environment in which virgin coconut oil is processed and packaged can also affect the quality of the oil. Therefore, whether virgin coconut oil is made by drying, fermentation, refrigeration (chilling), mechanical pressing or centrifugation, or combination of these methods, as long as it looks crystal clear, carries its distinctive aroma, tastes good to you and you like it very much, and more importantly, keep you healthy and strong, that should suffice. By far the best brand for me. And it comes in glass container. Meaning, zero risk on plastic leaching. But they bottle their coconut oil in a peanut oil packing facility. If you're allergic to peanuts, try this one. Oh, another critical point about choosing virgin coconut oil is that, be sure to scrutinize the label to find out whether the facility that packs or makes coconut oil also packs or makes food that you're allergic to (if you do have food allergy). If you're buying online, zoom in on the label to look for any allergy info. If no allergy info is shown, email them. Just to make sure you're safe from getting a virgin coconut oil that may harm instead of benefiting you. Hi Suzy, sorry for the inconvenience caused. The brand I'm using is Nutiva virgin coconut oil in glass jar. It's packed in a peanut oil making facility. If you're not allergic to peanut, you're good to go. Hello, am from the Philippines and I like your post as you are promoting a product from my country, thank you, aside from the fact that I like the product and taking it regularly but just recently so I cant comment yet on its effect. Hi Yoly, I do not promote product from any particular country with vested interest. I'm merely sharing my personal experience and recommend quality stuff in the hope of helping people. Hi Gitika, I suppose you meant it looks murky rather than muddy. I've just uploaded a picture of a murky virgin coconut oil and see if yours matches that when you first got it. By now, your virgin coconut oil should have a clear look with the soft essence settling at the bottom. I have recorded a short video of the same. Please check it once and advise. Hi Gitika, I've watched the video. It looks normal. And if it smells like fresh coconut, then what you got is the original organic virgin coconut oil from Nutiva. So, not to worry. I also noticed from your video the coconut oil essence at the bottom is beginning to take its form. I've done the experiment. Sometimes you just need to leave the jar on a surface and let it stand there for a day or two (without shaking or moving it) instead of just a few hours for the soft "chalky dust" to settle down. Your opinion and the link sended was of great help to choose the correct product for my baby. You're most welcome, Gitika. I'm glad you found them helpful. I bought a bottle of deodorized VCO for cooking. The oil is white when in solid form but yellow when in liquid. The manufacturer said the yellow liquid is fine and the vco did not go through a heating process. Is the yellow oil healthy to consume? Hi Helena, what you got is not VCO (virgin coconut oil), but actually an RBD coconut oil. RBD stands for "refined, bleached and deodorized". It looks yellowish in liquid state due to the natural color of the copra (dried coconut meat) processed. Virgin coconut oil is obtained from fresh white coconut meat, which is why it looks clear like water but turns white when in solid state. In other words, virgin coconut oil should not appear yellowish in any form. And it should give you a mild coconut scent. RBD coconut oil is still healthy to consume. It carries almost as much health benefits as that of virgin coconut oil except for the aroma. So, don't worry. Why RBD coconut oil? So as not to overpower the natural flavor of the food you cook. Have you tested the ph of Spectrum. Expelled pressed organic virgin coconut oil? No, Shannon. I only test what I use. I don't use Spectrum. However, I believe all coconut oil manufacturers have set to make sure that coconut oil does not deflect below pH 5. So, I guess that your Spectrum coconut oil should stay at somewhere between pH 5 and pH 6. Awesome! I've been an enthusiast of virgin coconut oil since I began to watch and take a good care of myself. Awesome tips!